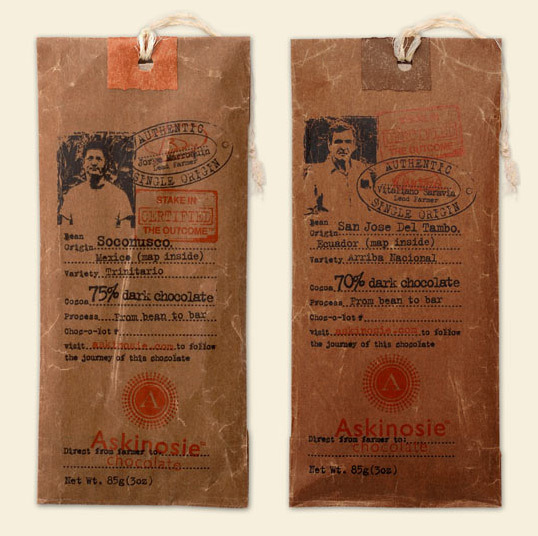 Askinosie Chocolate has some beautiful packaging in their product line. Does anyone know who is responsible for these designs? 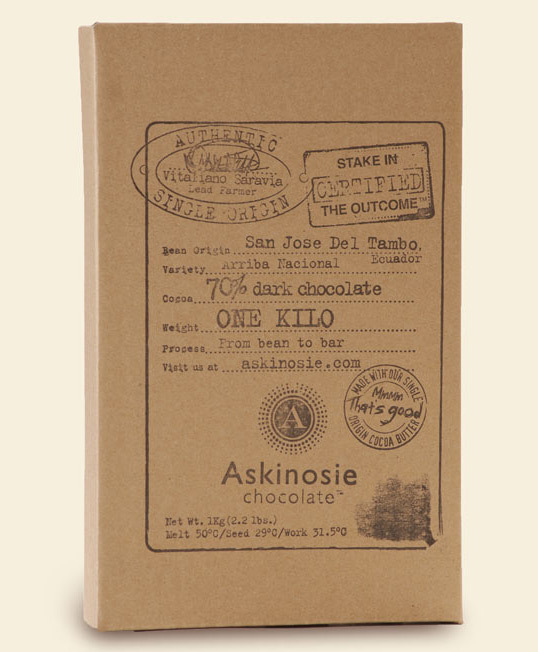 the strings are from the bags the cocoa beans arrive in – askinosie pays a local women’s shelter to tie them. 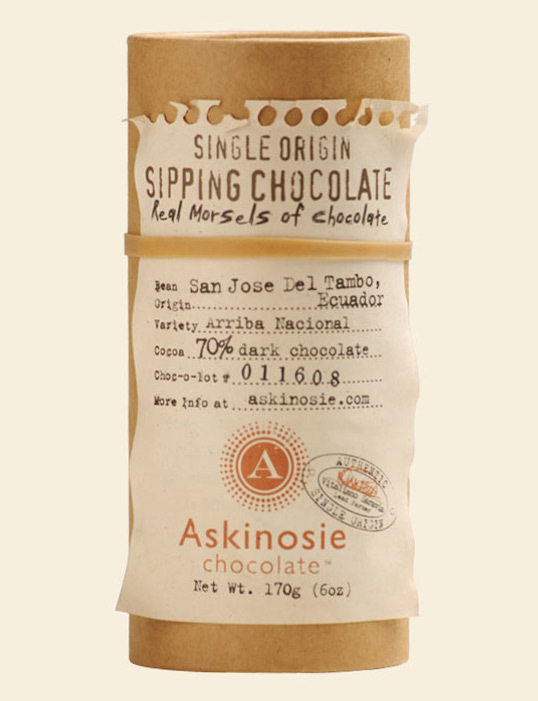 the chocolate inside is pretty exquisite, too. Hi! Most of you what you show is the original line of products, which weren’t designed by Kristina Sacci (although her work is good, too). It was designed by Element Eleven http://www.elementeleven.com who worked closely with Shawn Askinosie. @yael: thanks for the heads up! 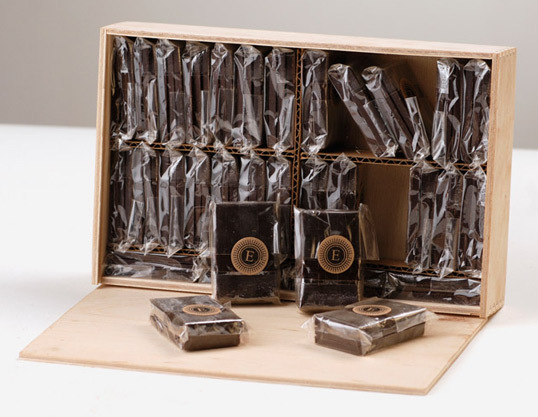 Lovely, I’d buy it just to put the packaging on my desk. 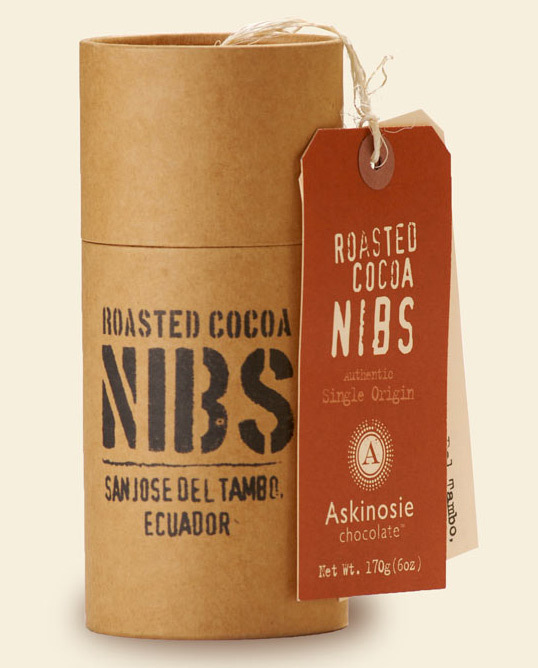 Does anyone know if the detail on the box (with rubber bands) is printed or hot branded on? – I’m working on something similar. To @bootstrapperboy – it’s burned in for real. I had a sample of this box which is very cool. 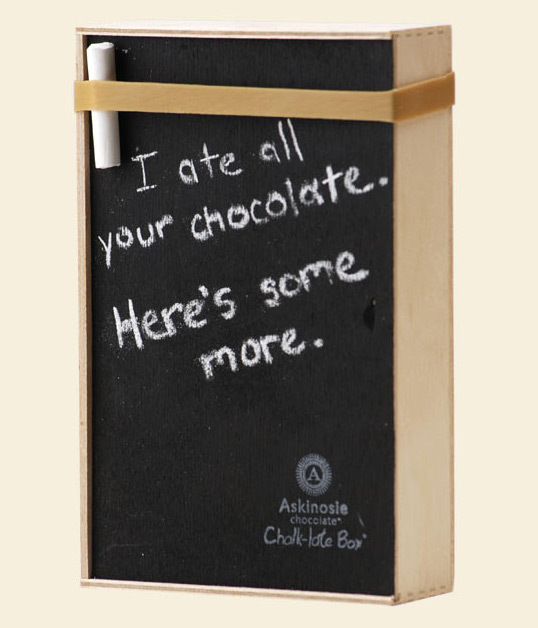 Another awesome chocloate packaging on your way. 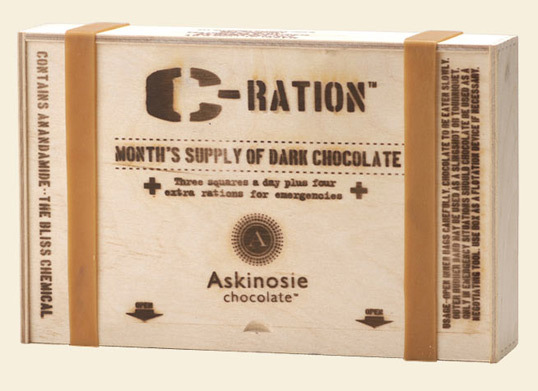 The box seems cool, but I wonder if the bars would stand out on the shelves. To @yeal – Looks really cool, thanks for the reply! Shawn Askinosie has such a creative mind. 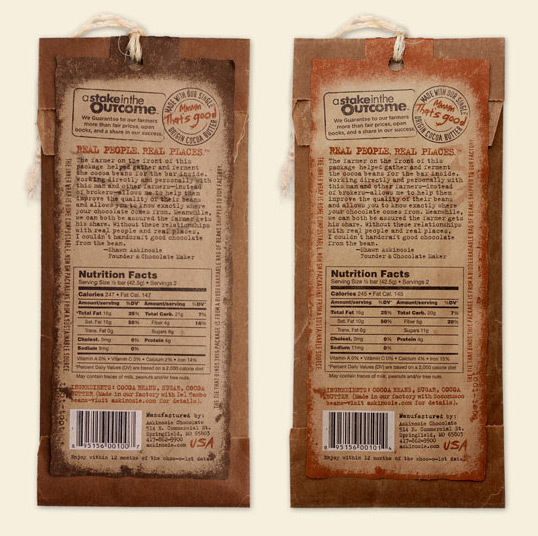 Many of the original concepts for the packaging and website were generated by him. The designers we work with are very creative and have done a great job. Thanks for everyone’s kind words! It’s nice to have feedback.